A huge number of businesses still send out excel spreadsheets to the managers involved in their corporate budget planning process. These managers are expected to complete their part of the figures and to submit them afterwards. The finance team then consolidates all these figures so that they can produce the budget for the year. While it sounds rather simple, the reality is that in multi-national, cross-functional, and cross-geographic businesses, there is so much time wasted administering the entire process. Having to collaborate with different departments involving many different people add several layers of complexity and difficulty in the entire corporate budget planning process. 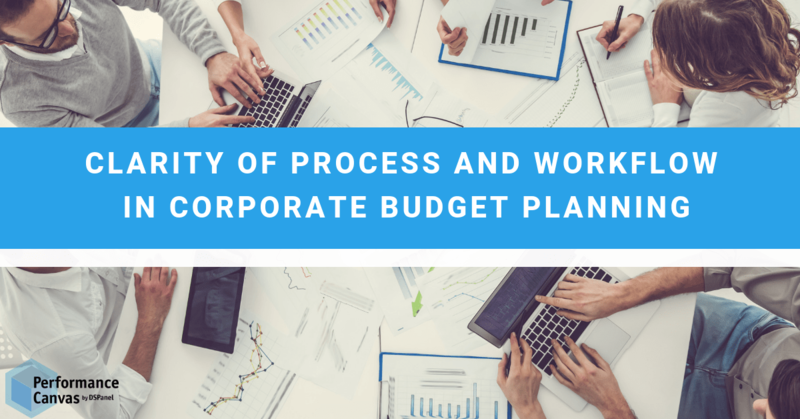 There are of course corporate budget planning tools available in the market today with each of them putting forward a promise of improving the entire process in one way or the other. Performance Canvas Financials is a corporate budget planning software that firmly believes the first step in improving the entirety of the corporate budget planning process is by making sure that there is a clear process and workflow that people can start from. Performance Canvas Financials offers its business users a pragmatic and visual workflow that affords clarity, transparency, and accountability. This corporate budget planning software ensures that managers know exactly where their bottlenecks are coming from so that they can be remedied immediately. For example, within Performance Canvas Financials, there is an overview that tells you as an administrator or manager – who the budget responsible people are, how many tasks are still pending, how many tasks have been submitted, when these tasks are supposed to be due, how many of the submissions have been approved or rejected or if there is anyone in the team that would require assistance from anyone in order to get things done. The approval process of Performance Canvas Financials ensures that no task or deadline is missed. It also ensures that the approvers have all the information they need in order to accept or refuse the budgets. Clear and visual workflows like this makes a huge difference in terms of ease in collaborating with different people and in terms of making sure that the figures are accurate and the people behind them are held accountable. When less time is spent administering the entire corporate budget planning process, it means more time can be dedicated towards performing more high value yielding tasks such as conducting deeper data analysis. Do you want to see how the approval process and how the workflow within Performance Canvas Financials looks? Visit www.performancecanvas.com or email info@dspanel.com to see a free online walk through of this corporate budget planning tool.